I have finally find a little bit of time to finish the build of my EasyIOT temp/humidity sensors, based on DHT22, each sensor send every 30 sec, a updated temperature and humidity value. 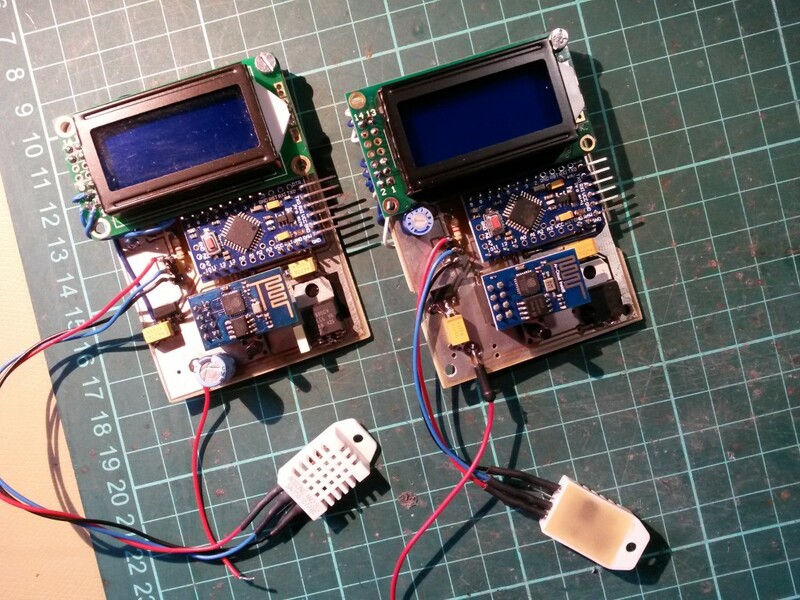 Every sensor is based on arduino 3.3v@8mhz, plus LCD 2×8, DHT22 and ESP8266. The pcb is very similar to wireless probe.